Mr. Landreth serves as Executive Vice President and Chief Commercial Officer for the general partner of CVR Refining, LP and Coffeyville Resources Refining & Marketing, LLC. 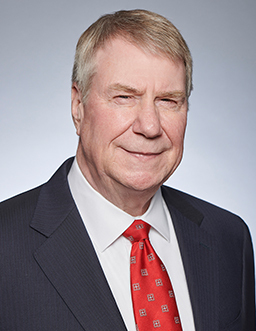 Mr. Landreth has more than 30 years of experience in the refining and petrochemicals industry in areas relating to crude, feedstock, product and process optimization, commercial activities, acquisitions and capital utilization. Most of his career was spent with Coastal Corporation in various refining and marketing positions. Following the merger between Coastal and El Paso in 2001, Mr. Landreth assumed the position of Director of Refining Optimization and Commercial Management. Before joining Coffeyville Resources in 2005, he was Director of Refining and Marketing Economics and Planning for Holly Corporation. Mr. Landreth received a Bachelor of Science in Chemistry from Northwestern Oklahoma State University.